At the Alzheimer's Association International Conference, which was held in Chicago, Illinois, United States, in July, 2018, a phase II clinical trial of a potentially useful drug for Alzheimer's disease was presented (1). This drug was given the pre-clinical name, BAN2401. The preliminary results of this clinical study demonstrate that this potential treatment retracts cerebral amyloid plaques, a pathognomonic sign of Alzheimer's dementia; Alzheimer being an eponym of the German neurologist Alöis Alzheimer. This histological finding is manifested in the deceleration in the progression of this neuro-degenerative disease. This consolidates the already known link between the reduction in the size and extension of amyloid plaques, and the cognitive improvement of patients. The confirmation of this relationship is, per se, a relevant observation. There is currently no effective treatment for Alzheimer's dementia, with the exception of a few drugs (2) that merely delay the progression of the disease at its early stages by only a few months ("Cholinesterase enzyme inhibitors", and "N-Methyl-D-Aspartate Receptor Inhibitors”). Alzheimer’s disease is suffered by more than 40 million people worldwide; and, in the absence of effective treatment, its incidence may become "epidemic" when the “baby-boom” generation reaches the age of risk. The Phase II clinical trial with BAN2401, involved 856 patients from the United States, and the European Union along with Japan. All patients showed early symptoms of cognitive impairment which, based on scales of diagnostic assessment (ADAS-Cog), confirmed the diagnosis of Alzheimer's dementia. BAN2401 is a “chimeric” humanized monoclonal antibody; the result of joint research between the Japanese pharmaceutical laboratory Eisai, and the American laboratory BioArctic. BAN2401 binds, and neutralizes the soluble strands of amyloid protein before they form clusters (amyloid plaques). Eisai obtained the rights for the study, manufacture and marketing (if necessary) of BAN2401 for the treatment of Alzheimer's disease (the result of an agreement between Eisai and BioArctic, in December, 2007). In March 2014, Eisai and Biogen worked together during the final stages of the development and possible commercialization of BAN2401, as they had agreed in October, 2017. 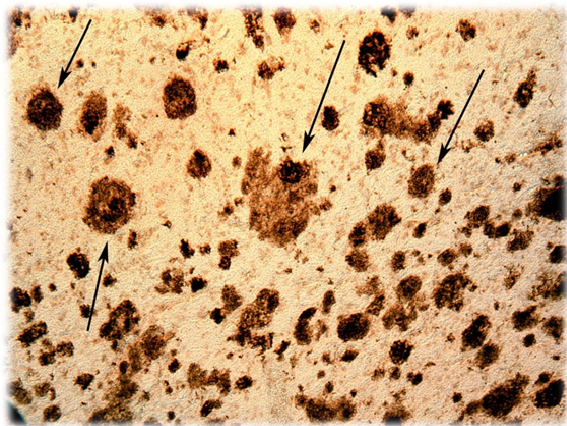 Some experimental drugs reduce the extension of amyloid tissue, but this does not correlate with any improvement in cognitive functions, especially short-term memory loss The preliminary results with BAN2401, administered employing a posology of a bi-weekly injection of 10mg/kg ("study group"), show a decrease in cognitive deterioration related to the "placebo group". The dose of 10mg/Kg in weight of the patient is the highest of all studied. Of the 161 patients in the group receiving the highest dose of BAN2401, 81% showed a significant decrease in amyloid protein levels which changed patients’ status from "amyloid-positive" to "amyloid-negative". Patients from all study "groups" (each sub-group was treated with a different dose) and “placebo group” were subjected to assessments of memory, as well as planning and reasoning skills. The deterioration observed in the group treated with the highest dose of BAN2401 was 30% less with respect to the “placebo group”. We are probably not looking at the long-awaited solution of Alzheimer's disease. However, a 30% reduction in cognitive and behavioural impairment would have far-reaching social and economic implications. A drug for Alzheimer's dementia would be considered useful if it gave patients to autonomy, at least in everyday activities, without requiring the help of care assistants, or institutionalization. In the study group, the results began to be statistically significant 18 months after the start of the clinical trial, but at six months there were already improvements in the patients' condition, based on functional assessment scales. Although the results were especially favourable in the group treated with the highest dose, the sub-group with the penultimate highest dose also showed positive results. In December of 2017, Eisai and Biogen reported that the first results with BAN2401 were not particularly satisfactory; and the scepticism arose, both among scientists and investors. A subsequent analysis, published six months later (18 months after the start of the trial) moderated the initial discouragement, but continued to show a clear improvement in patients' cognition. The results of the phase II clinical trial will determine whether to start an ambitious phase III clinical study. We have to remember that many potential drugs during the phase II clinical trials have not met expectations in the subsequent stages of research. In this phase II clinical study, 247 patients were put into several groups at random: the “placebo group” and the “study group” were sub-divided into five sub-groups according to the dose being tested. The two pharmaceutical companies, Eisai and Biogen, devised a cognitive assessment scale, ADCcomS (acronym for Alzheimer's Disease Composite Score), in which criteria from other fully validated scales were combined. Some medications for Alzheimer's dementia have shown serious side-effects that complicate the progressive deterioration of the neuro-degenerative disease, such as inflammation or haemorrhage. With the new potential drug, BAN2401, the incidence of these side-effects does not exceed 10%, and so is considered relatively safe. BAN2401 acts by preventing the creation of fibrous tendrils of amyloid protein, the first stage in the formation of a conglomerate known as amyloid plaques. As expected, the effectiveness of BAN2401 is greater the earlier the treatment begins. The accumulation of amyloid proteins in brain tissue commences years before the first signs and symptoms of the disease appear. Therefore, in Alzheimer's disease, early intervention improves results in a remarkable way. Even in the best possible scenario, the authorization of BAN2401 will take some years; despite the fact that Eisai and Biogen executives have met with the US Food and Drug Administration to speed up the application process (3). BAN-2401 is not the only monoclonal antibody for Alzheimer's dementia that is being studied (2). 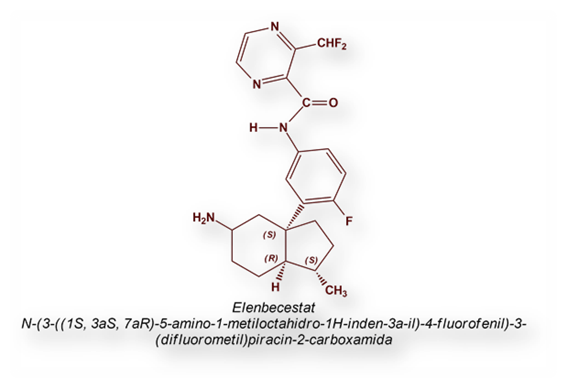 Elenbecestat, developed by Biogen, is another potential drug for the early stages of Alzheimer's dementia. On July, 16, 2014, the Swiss multinational Roche presented at the Alzheimer's Association International Conference, held in Copenhagen, Denmark, the preliminary results of a phase II clinical trial, with their monoclonal antibody Crenezumab. This study involved 431 patients suffering mild to moderate stages of Alzheimer's dementia (according to the ADAS-Cog scale). The study arm receiving the highest doses achieved a 16.8% reduction in their cognitive deterioration, which was not considered statistically significant. When the data was analysed the results for a subset of patients suffering the disease at earlier stages, the decrease in cognitive decline was estimated at 35.4%. 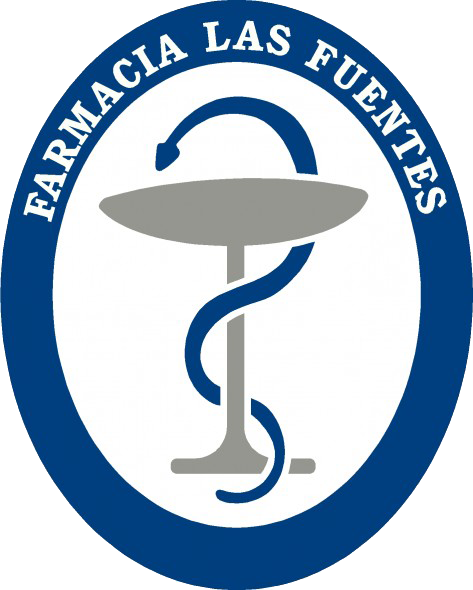 Crenezumab is being studied in a population group residing in the municipality of Medellín, Colombia. These people carry a mutation that increases the prevalence of Alzheimer's disease before senescence. These results seem more striking when we consider that the reduction in cognitive decline administering Adacunumab was 70%. During experimental studies on rodents, only capillary haemorrhages were observed, when doses of 500mg/kg were injected - two orders of magnitude higher than those required for the retraction of the amyloid protein plates. A significant side effect of Adacunumab was a kind of encephalitis known by the acronym ARIA (Amyloid-Related Imaging Abnormalities)  which causes headache, diarrhoea and dizziness; and this is not related to the dose administered. The incidence of this type of encephalitis was 55% in patients with the genetic predisposition to develop Alzheimer's disease, and 17% in the rest of patients. The expectations with Adacunumab are very prudent. There is a history of recent failures using other monoclonal antibodies. Johnson & Johnson, in collaboration with Pfizer, discontinued their studies with another monoclonal antibody, Bapineuzumab (5) after the disappointing results of clinical trials (communication of August 6, 2012). Eli Lilly interrupted their studies with Solanezumab, (6) although decided to continue studying it in a subgroup of patients. The results of other ongoing clinical trials with Adacanumab are being awaited with interest, the first results of which are expected by the year 2020. Two "effective" drugs could be available to stop the progression of amyloid plaques and slow down cognitive decline. .
1.- López Tricas, JM., Álvarez de Toledo Bayarte A. Alzheimer’s disease from the past into the future. European Journal of Clinical Pharmacy 2017; 19(1): 3-5. 2.- López Tricas JM., Álvarez de Toledo Bayarte, A. Immunotherapy of Alzheimer’s disease. European Journal of Clinical Pharmacy 2017; 19(1): 48-54. 3.- López Tricas, JM., Álvarez de Toledo Bayarte, A. Approval of new drugs. European Journal of Clinical Pharmacy 2016; 18(5): 291-3. 4.- Sperling RA., et al. Amyloid Related Imaging Abnormalities (ARIA) in Amyloid Modifying Therapeutic Trials: Recommendations from the Alzheimer’s Association Research Roundtable Workgroup. Alzheimers Dement 2011; 7(4): 367-85. 5.- Salloway S., et al. Two Phase 3 Trials of Bapineuzumab in Mild-to-Moderate Alzheimer’s disease. N Engl J Med 2014; 370: 322-33. 6.- Doody RS., et al. Phase 3 trials of solanezumab for mild to moderate Alzheimer’s disease. N Engl J Med 2014; 370: 311-21.